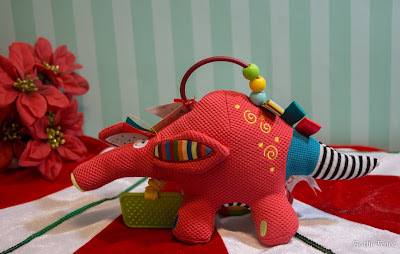 Here is a unique little toy for an infant or toddler. This is a sensory toy by Dolce which is part of Magformers. Dolce stands for develop, observe, learn, create and educate. This line of toys each has a different primary feature. 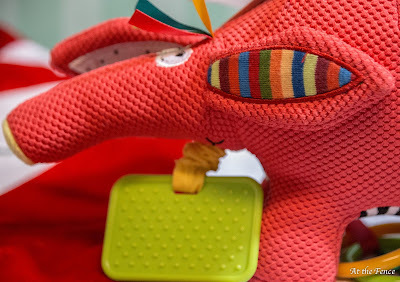 This Aardvark has a plastic tab you pull that causes the toy to vibrate. The tab itself is sensory in that one side is covered with small bumps. On his back, he has a small half circle with 3 beads, which works as a carrying handle. He also has three looped ribbons, that are different colors and textures. He has four ribbon strips of different colors sticking out of the top of his head. His left ear crinkles when you touch it. 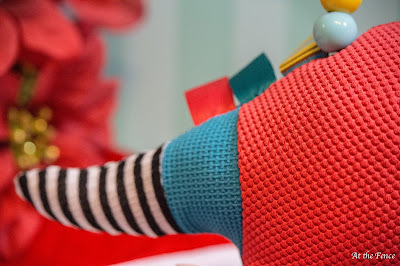 Attached to a front foot is a looped ribbon with two hard plastic rings, both different colors. 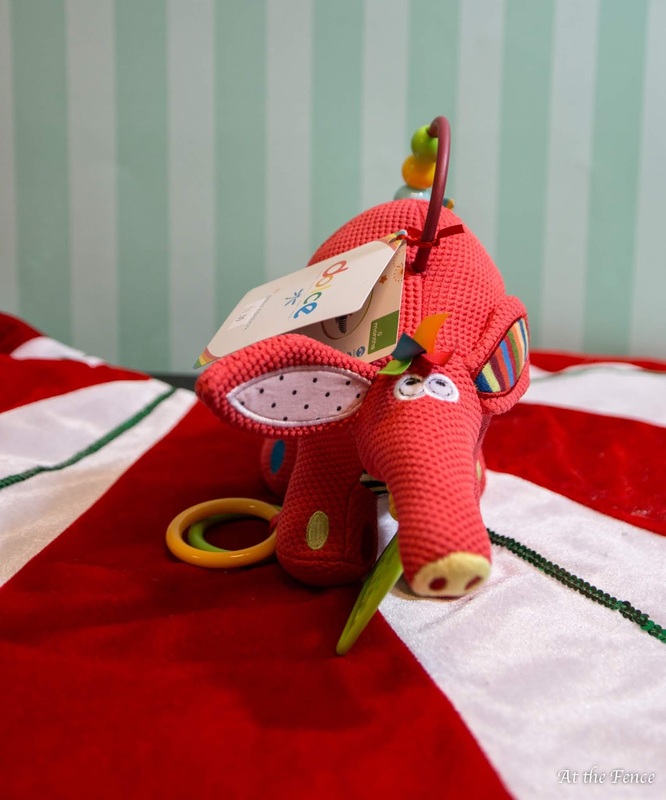 Not to mention, that the aardvark himself is made of several different types of material for your child to explore. Your child will enjoy using their senses with this toy. They can touch a variety of textures as well as feel the vibrations, taste the plastic tab made for chewing, and hear when they move his ear. He is a cute little fella' who will most likely become a favorite toy. 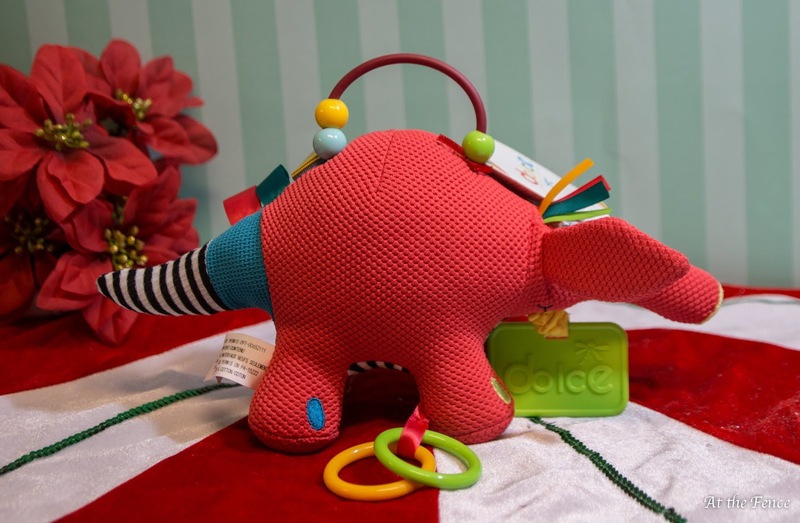 Any one of the sensory toys by Dolce would make a GREAT holiday gift. Whether wrapped or sticking out of a stocking this little guy's face will bring a smile to your child's face. Visit their website and come back here and leave a comment telling me your favorite! !